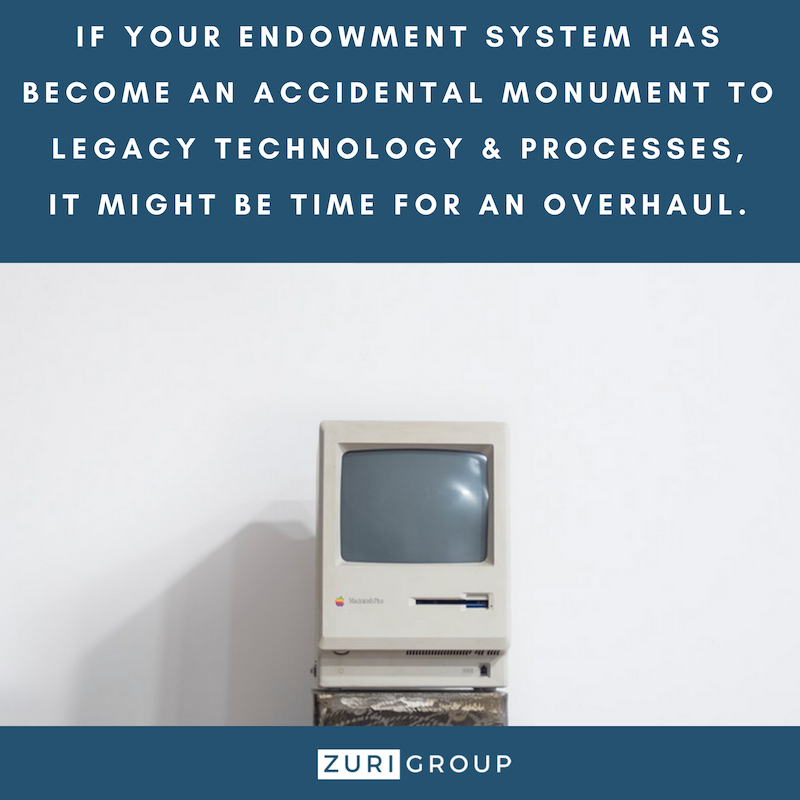 Your endowment system contains the most critical information about your most extraordinary donors– yet spreadsheets, homegrown databases, and paper files are often the only way to maintain records of the most influential [or most heavily restricted] gifts. So why is this important system so often overlooked? It’s complicated. More often than not, the endowment system sits between the financial system and the fundraising CRM. Combining multiple data points from these massive systems of record with data entered directly into the endowment system results in a patchwork of information from disparate sources rather than a primary source of record. With indenture and legal hard copies, ad-hoc communications, digital copies of quarterly reports, annual departmental narratives, and student thank you notes, the focus of your legacy system can easily become document management if you’re not careful. Aside from document management, the endowment system also houses audited financial value of investment funds, assigned professors or scholarship holders, and requirements for assignment as laid out in indenture documentation. Collecting and automating this sensitive, valuable information requires a system that is updated, secure, and robust enough to scale with savvy donors and their wishes. If this has got you thinking about your own endowment system, below are some common problems in three crucial areas that you can use to perform a quick health check. If you answer ‘true’ to any of the following, your endowment system may need a trip to the doctor. The Problem: Our legacy system does not possess the most up-to-date security provisions, leaving this valuable donor and restriction information exposed. Are anonymously-given endowments included in this system? Do we have a record of the staff members and roles who have access to this data? Do we have a record of the other systems organization-wide which have access? Do we house FERPA-sensitive student information in the endowment system? The Problem: Using multiple systems of record means there are multiple entry points for similar data, and it can get out of sync. When multiple systems display similar data about a donor, a gift, or a student, it is difficult to tell which is the most up to date. Do we have a protocol for data entry which specifies which system to use for each type of data? Does the legacy endowment system itself allow for data entry? Do any other systems reference that data? 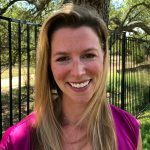 The Problem: In our current system, we are not able to manage and store digital copies of all of our documents, increasing the need for physical storage and the liability of a single copy or multiple unauthorized copies, and reducing our control over security and access to those documents. Do we have to keep redacted versions for anonymous donors? What are rules for document routing and approval before being accepted and approved? How many times does a single document change hands during that process, and do we know where a document is in the process at any given time? If your endowment system failed the health check, don’t panic! The AAA method can help you determine where should you focus your revitalization efforts– software, processes, or both? What does the endowment system hold? What information is entered into that system? What information is drawn from outside systems? What other tools depend on this data? What is the workflow for Stewardship? What are rules for document routing and approval before being sent to the donors? Now that you have a clear understanding of the people, processes and platforms impacted by and impacting your current system, you can assess any inefficiencies, duplication, or security faults in the process or tools. Starting with their experience managing the funds, identify your staff’s superpowers and assemble your own team of superheroes, measuring them against industry trends and your organization’s expectations. Envisioning your team as a gang of superheroes can help you understand your strengths and identify gaps so you can craft a holistic solution. Keep in mind that one application may not be the answer for you. Some organizations have opted to directly integrate their fundraising CRM with their financial tools in order to support information exchange rather than maintain an intermediary application between them. Other organizations have leveraged their staff talent to specialize in one type of fund and navigate information collection and data entry using a full suite of tools. Ultimately, you may decide that the opportunity cost of these issues outweighs the cost of implementing a better solution– and that’s okay, too. Designing a solution that is right for your organization is the key to ensuring an efficient, secure, consistent, and relevant result. Looking for some guidance with your endowment system? We’re here to help!